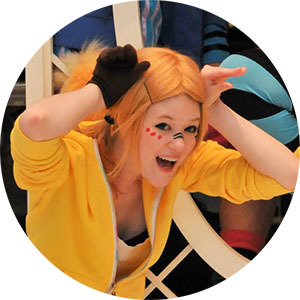 This was a simple, fun costume that Rosabella and I decided to throw together to wear Thursday night at Katsucon. We purchased matching yellow hoodies and painted the designs on the hoods and wore normal clothing underneath. Photos by Soulfire Photography and LionBoogy, 2011. 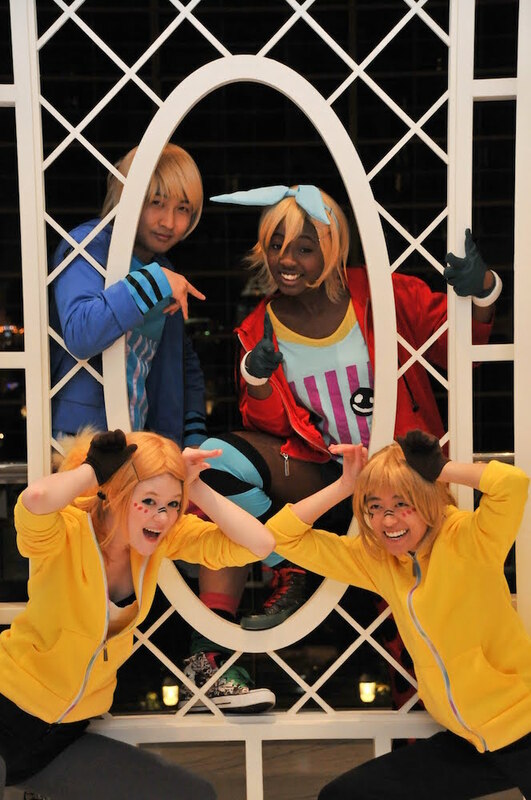 Also featuring Rosabella as Len Kagamine.